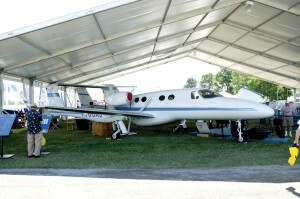 The Cessna Mustang made its first appearance at EAA AirVenture Oshkosh 2005. 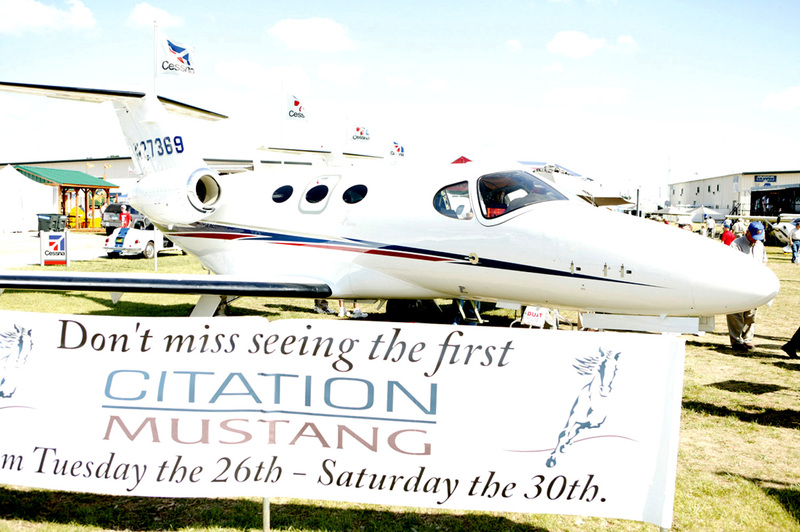 This year’s EAA AirVenture Oshkosh could be called the debut of the very light jet. While the Federal Aviation Administration doesn’t recognize VLJs as a separate airplane category, that name has taken hold in the industry. One characteristic of a VLJ is the VLJ engine. Here again the FAA hasn’t created a separate category of engine but VLJ engines are in the 900 to 1,500 lb. thrust range. VLJs typically have four to six seats with max gross takeoff weights in the 6,000 to 8,000 lb. range. In 2002 in this column, I asked the question, “Are there Small Jets in Our Future?” Almost three years later, the answer appears to be yes. 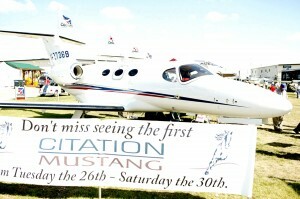 In that article I wrote about the Eclipse 500 and the Cessna Mustang. Both aircraft appeared for the first time at Oshkosh this year. 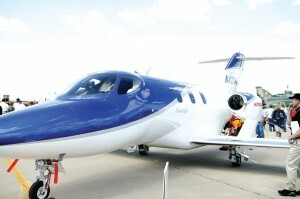 In addition, the Adam A700 made its third appearance and Honda unveiled to the pubic for the first time its HondaJet. For years, Honda denied any intention to certify and sell the HondaJet, saying only that it was a testbed for its engine. But this week they finally admitted what we all knew, that Honda does plan to certify the HondaJet in about two years. The other three VLJs are expected to be certified in 2006. Although similar in size, each VLJ is unique. The Eclipse is the smallest since it was originally designed to use the Williams EJ22 micro jet engine. That plan was abandoned in December 2002 (see “Challenges Ahead for the Eclipse 500” this column, Jan. 2003) when Eclipse discovered what everyone else knew, that the EJ22 was too small. They are now using the Pratt and Whitney PW 610. The Adam A700, derived from its now certified piston-twin brother, the A500, is unique in its twin-boom design. The A500 uses the twin boom to allow for its centerline thrust engines but there is no design reason to use a twin boom for a twin-engine jet except for commonality of parts and flight characteristics. The A700 uses the only certified VLJ engine, the Williams FJ33. 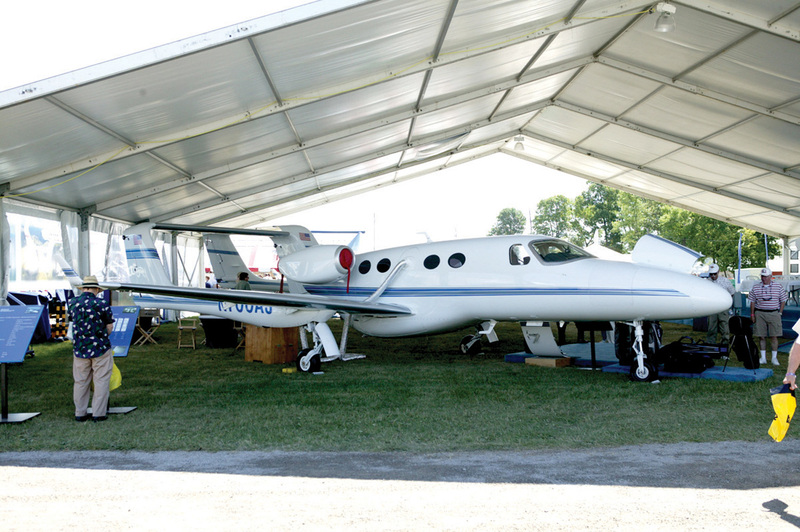 The Adam A700 made its third appearance at Oshkosh. The Cessna Mustang appears to be just a smaller Citation with the Pratt and Whitney PW 615 VLJ engine and should be a big seller simply due to the Cessna name. Of course, when you talk about name recognition, Honda beats them all hands down—but not in aviation. Honda will have to prove that it can do the same for aviation that it has done for automobiles. The Honda entry also has its unique design feature with the engines mounted on pylons above the wings. Unfortunately, the Javelin, a two-seat, fighter-like airplane, which some may call a VLJ because it uses VLJ engines and falls into the same weight category, failed to appear at Oshkosh this year due to a nose wheel problem. I included a photo however, of the Javelin here in Colorado. Robert B. Schultz practices law in Denver, and specializes in aviation law nationwide. He can be reached at bob.schultz@airportjournals.com and welcomes your comments and questions. Honda unveiled the HondaJet this year.